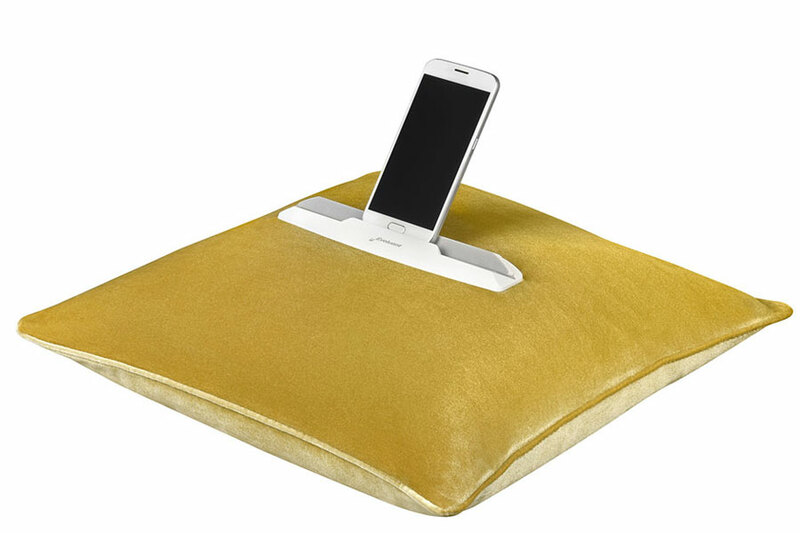 The Pillow Tablet Stand from Evoluent is a comfortable and easily adjustable support designed to relieve hand and arm fatigue when using a tablet, eReader, or phone while lounging. In addition to reducing fatigue it also positions the screen at an angle better suited for viewing, reducing the potential for neck strain and tension headaches and provides a cushioned arm support. 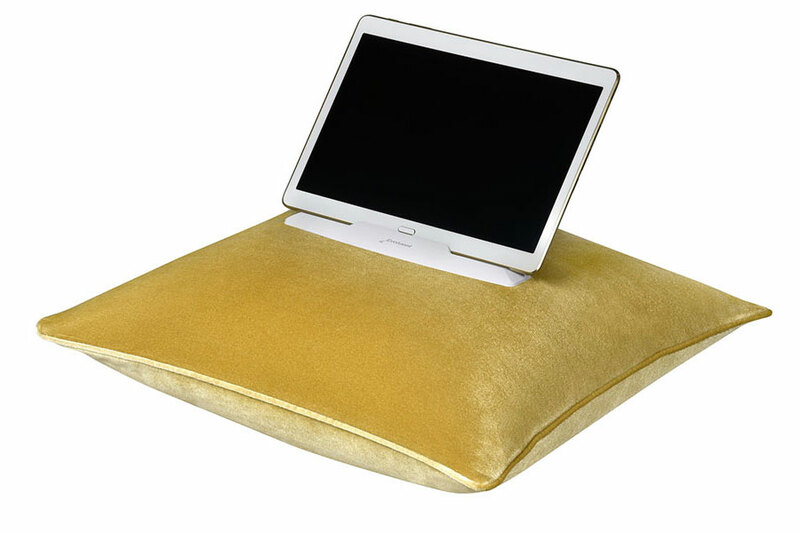 The soft padded surface elevates the device and can easily be repositioned and tucked where most comfortable. 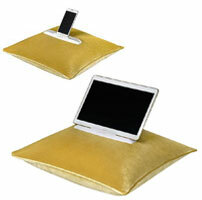 When a tablet is not in use it can be flipped over to look like any other decorative pillow. 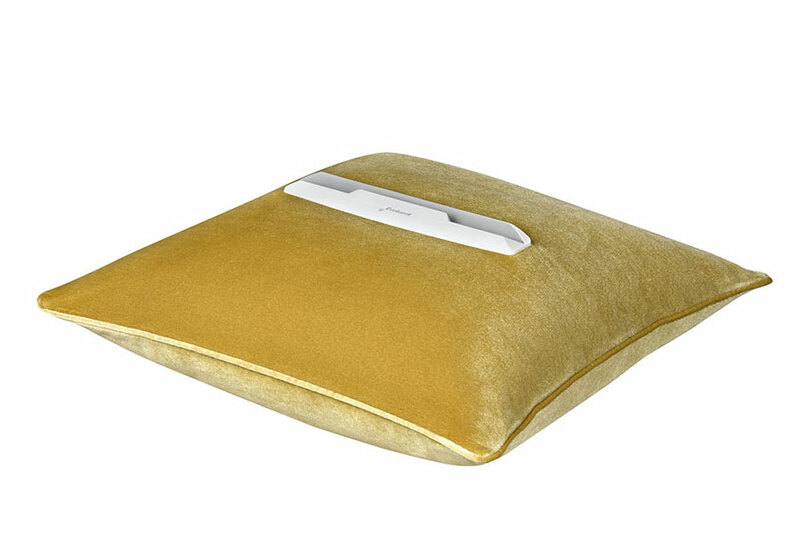 The Evoluent Pillow Tablet Stand will support devices up to 0.45" thick, including cases. A simple magnetic insert converts it to use for "bare" devices. 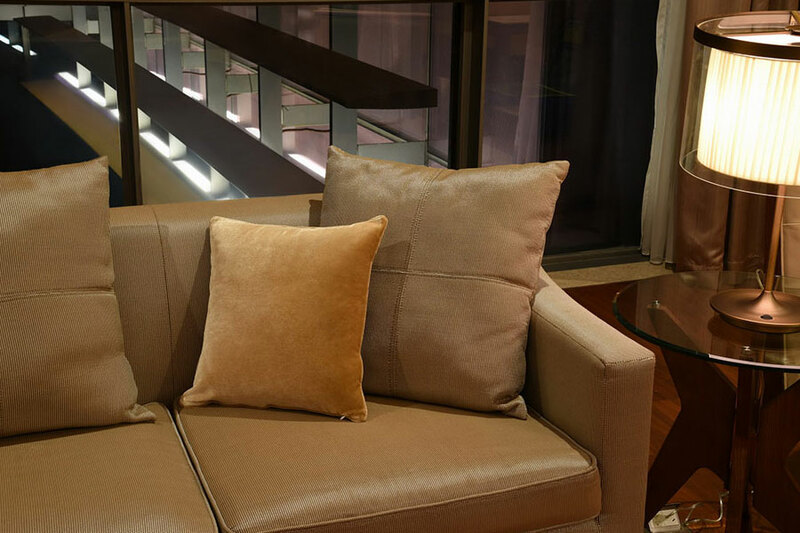 Rubber grips keep devices neatly secured along the lower edge without encroaching on the viewing area. 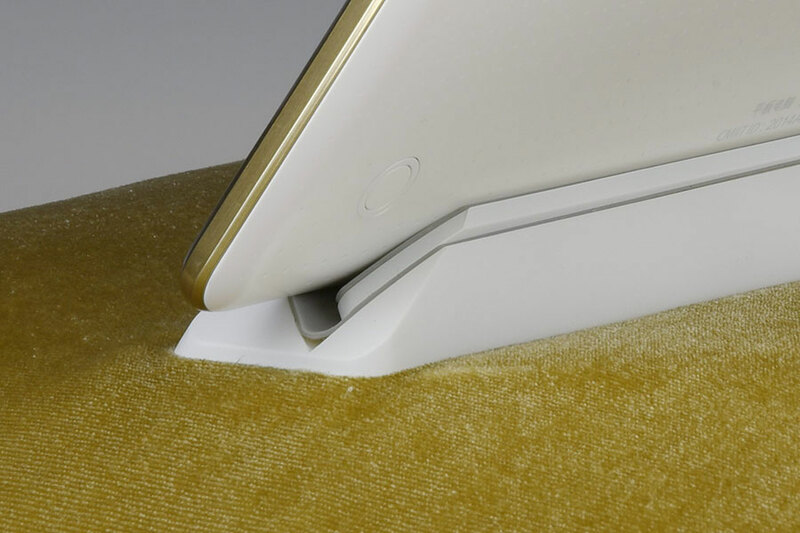 Tablet/Device Compatibility: Will accept devices (and cases) up to 0.45" (1.2 cm) thick. A magnetic Adapter strip converts it between "bare" and "protected" modes.